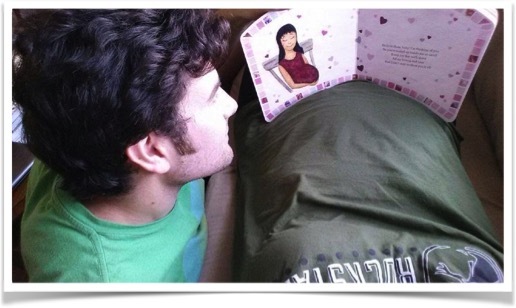 Dad-to-be, do you know how important you are to your expected baby? Even before he’s born, you’re already playing a big role in his life just by loving him and making that felt through all the ways you care for his mother. 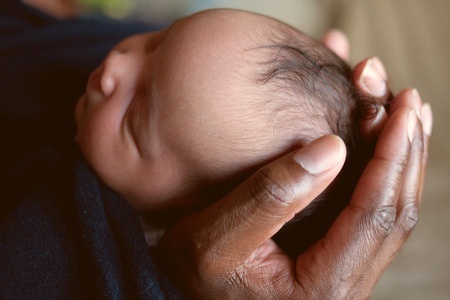 Then there’s the touch of your warm hands on her belly; yes, he’s aware of that, too, as the June 2015 study “Fetal Behavioural Responses to Maternal Voice and Touch” found. “Stroking of the mother’s abdomen as a response to the kicking or positional movements of the fetus,” the researchers wrote, was found to be “a powerful stimulus, producing a range of fetal behavioural responses.” It’s a real interaction: he moves, you touch, he moves some more! And then there’s your voice. Talking, laughing, singing, reading…he can hear you (in the third trimester or even earlier), and he’ll show you he recognizes your voice when he’s born. Please go back and read a couple of compelling anecdotes about this in our June 2015 post. We also mention the wonderful book Keys to Becoming a Father by Dr. William Sears, who discusses the ways a man can start forming a real and active bond with the baby before he’s born, including talking and reading to him. He reports that some research shows that the fetus might even hear the deep male voice more clearly through the amniotic fluid than the mother’s voice. Working on that assumption, know that much of the research listed in our sidebar about the effects of the mother’s voice on her baby in the womb will also apply to the father’s voice. So talk, sing, read! A segment of the study’s observation of father–child interaction concentrated on reading, which especially interested us, and the authors report: “Our findings from the book session link to evidence which suggests that the provision of rich language experiences and educational references support cognitive and learning skills.” In other words, reading aloud to the youngest babies is very good for their development—in so many ways, as we’re learning from so many early-literacy sources—and it has a special flavor when it’s done by Dad! So, if a father can provide “rich language experiences,” in his own, particularly “stimulating, vigorous” way, through reading to his baby right from the beginning, and if your baby is already hearing your distinctly fatherly voice from inside the womb, it’s safe to assume that you, Dad-to-be, are already playing that essential role in his development. He’ll also recognize the familiar patterns and rhyming vowels of stories he’s heard repeatedly from the womb, and you’ll be helping him develop early language, cognitive, and social skills. As a brand-new, maybe slightly stunned father, you’ll be able to experience this amazing connection right away, and at the same time watch its soothing effect on your newborn. Reading to an unseen listener might feel funny at first, but you’ll find that sharing this special reading time with your partner and expected child will become a loving family routine, the cornerstone of family bonding for many years to come. 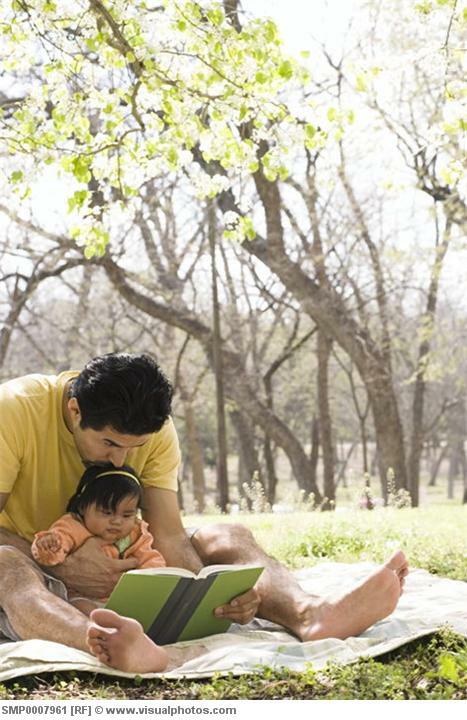 And you won’t be alone: many dads are jumping on the prenatal-reading bandwagon. What better way to start finding and flexing your unique, irreplaceable fathering muscles? Not just for mothers-to-be! Make Can’t Wait to Show You your own, for 25 percent off on Amazon with promo code DadsRead, now through June 30. Happy Father’s Day!